It is not easy to do good design for a PVC banner, Posters or Pull Up Banner design, especially if you do not have any design experience. If you prefer to do your own design, there are 4 main areas that you have to get right in order to have the perfect design and layout. With our top tips, you will catch the eyes of your customers. 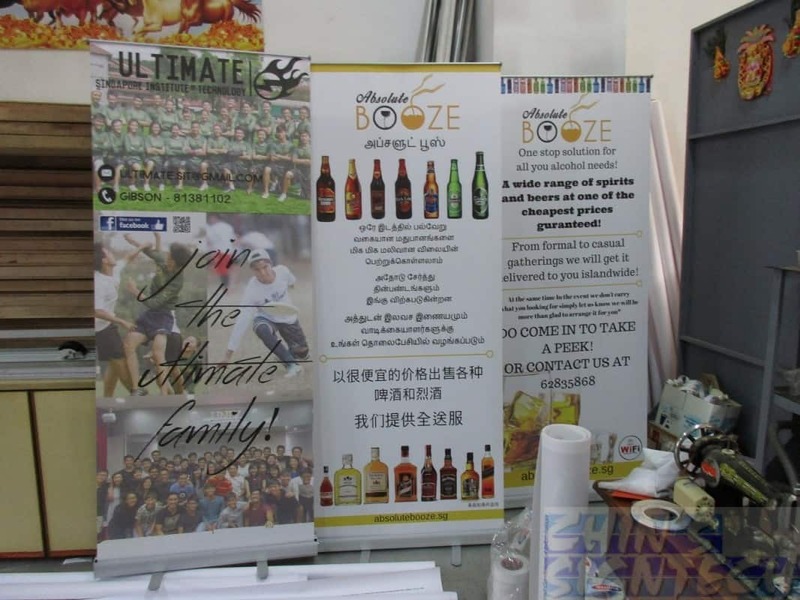 Colour is a very important part of design, and it is not something that you can neglect if you want to get a roller banner that is going to display the massage for you. There is nothing to be gained by just picking any arbitrary colour for your design and just going with it! A good colour scheme will help you stand out from the crowd, but will also be in line with your current corporate scheme, and not clash with your logo. Plus, you have to think about how readable your text will be on top of the colour background. Having bright yellow letters on a white background may be something that catches the eye, but unfortunately no one will be able to read it. Choose simple colours such as Red, Darker Green, Blue or Black is the best solution for your poster printing. These colour contrast well and easily on any colour background. The human eye is always drawn to a picture, so having a photograph or picture on your PVC banner will make it much more effective than a simple and blank one. A pictures tell a thousand of words. Make sure that the images are not blur and pixelated, otherwise they will print poorly. You can always use stock images or search for high resolution images at the internet, or get a professional photographer to take pictures of your products for you. Design with large pictures and title. Clear and simple is the key to good design. Your customers will be used to a western style of reading – in other words, top to bottom and left to right. That means you need to place all of your design elements in an order that makes sense. Try to put the main title or image first that your want to promote the massage to customers. Bigger than anything else, sitting at the eye level of passers by this main message will attract people to read and see in few seconds. 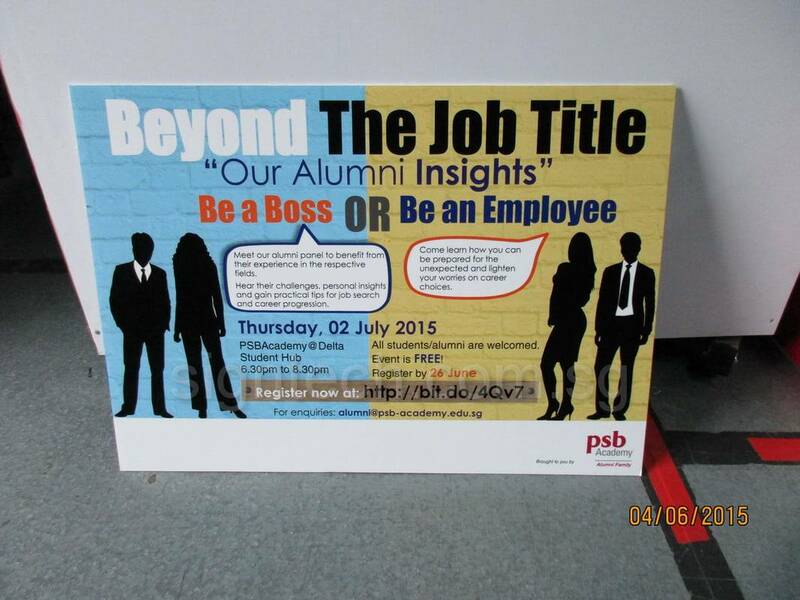 Roll up banner with large pictures and texts. A pictures tell a thousand of words. If you do not have contact details on the banner, then how will your customers find you? At the minimum, you should display an email address, a website address, or a phone number. You can also mention your location, whether a physical address or your stand number at the trade show. Give your customers the information that they need, whilst keeping the various elements to a minimum so that the banner is not too overcrowded. Remember that you can print leaflets with more information as needed. 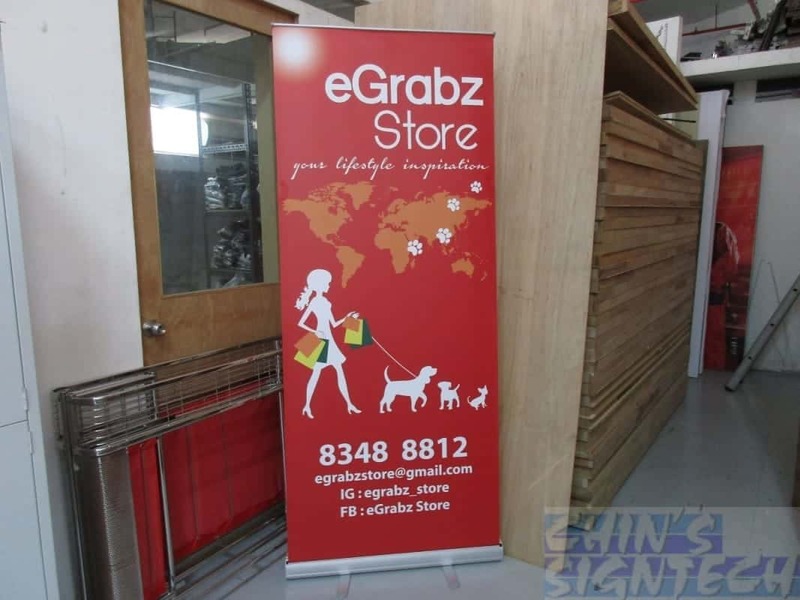 Roll up banners with contact and website address so customers can reach them and get more information about their products or activities.